If you have your eyes set on a property south of central Brisbane, you might want to consider going 17 kilometres where Algester is located. This suburb had its taste of heavy development during the Second world War and since then it has gone through a considerable amount of progress up to this time. The name Algester only came about in the year 1972 and was actually a corruption of the name of an English Town ‘Alcester’. 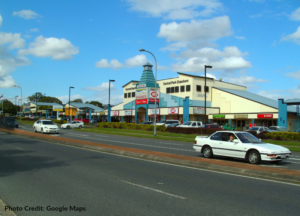 It was given that name after it was detached from Acacia Ridge. Majority of the homes around the area are all-brick and some of them are also colonial, Mexican, Spanish or Cape-Cod in style. This outer suburb has a recorded population of 8,262 as per the 2011 census. Females in Algester comprise the 51.3% of its total population while the males comprise the 48.7%. As opposed to the average Australian, the median age of the population in this particular suburb is about 3 years younger which is 34 years old. Income ($/weekly): Individual residents of Algester comes with a median income of $653 weekly. An average household comes with a median income of $1,437 each week. Employment: When it comes to employment, residents of Algester who form its labour force has a tally of 62.0% working as full time employees while the other 26.7% are working on a part-time basis. This suburb has an unemployment rate of 5.2%. Lifestyles and People (top 5): Lifestyles of Algester residents resulted to the following rates using the top 5 categories which are: 19.2%-Older Couples & Families; 13.9%-Established Couples & Families; 12.5%-Maturing Couples & Families; 12.1%-Independent Youth; 11.5%-Older Independence. You can easily catch a bus if you want to go around the suburb of Algester with the 130 and 135 bus which directly connects you to the Central Business District and garden city. Driving around is also quite convenient where it is but a 20 minute drive into the city and if you wish to reach the Gold Coast, it will only require a brief 40 minute drive. Being in Algester would make you realize that you are smack in the middle of the City as well as the airport and the Gold Coast. Schools in this suburb include St. Stephen’s School, a co-educational primary school which opened in 2004. This school is administered by the Brisbane Catholic Education. At present, St. Stephen’s caters to students from Prep to Year 7. You will also find the Algester Primary School as a good option for your kids in this suburb. Here, students are provided with differentiated learning through the model known as Gradual Release of Responsibility. Amenities found in the suburb of Algester include local shopping area where you will find the likes of Supa IGA, Chemist and the medical centre. If it is recreation you are looking for, you can check out Col Bennett Park, with a name taken from barrister, a local sports patron.